Qualcomm has separated activist wheat from chaff. The $70 billion chip company has dismissed Jana Partners’ call to separate its manufacturing and licensing arms. But it has shown itself amenable to suggestions from the uppity investor to cut costs, shake up its board and return capital. That’s a good balance between short- and long-term greed. The company chaired by Paul Jacobs receives most of its revenue from making chips, but most of its profit from licensing out its technology. Jana argued this left the company undervalued: put the licensing business on the S&P 500’s multiple of 18 times earnings and account for cash on its balance sheet, and investors were attaching essentially no financial worth to its chip business. So separating the two seemed like an easy win. The argument, though, was akin to suggesting ripping extra coins from the proverbial golden goose’s innards. The chip unit may not generate much in the way of direct profit, but it generates much of the intellectual property that the licensing unit sells. Likewise, the royalty arm generates lots of profit, which is channeled to the chip unit where they fund R&D. Separating the two businesses would cause both to suffer over the long run. Jana boss Barry Rosenstein can claim some victories from the campaign he launched in April, even though the stock has lost nearly a third of its value. Qualcomm said this summer it will cut $1.1 billion in costs, reduce its generous executive stock grants by $300 million annually, add three new directors to its board and pledged to return 75 percent of free cash flow to investors. That’s probably the best result that could have been hoped for. Jana’s suggestions mean Qualcomm will produce a few more coins every quarter – but keeping its businesses together is the best way to keep the company thriving over many years. 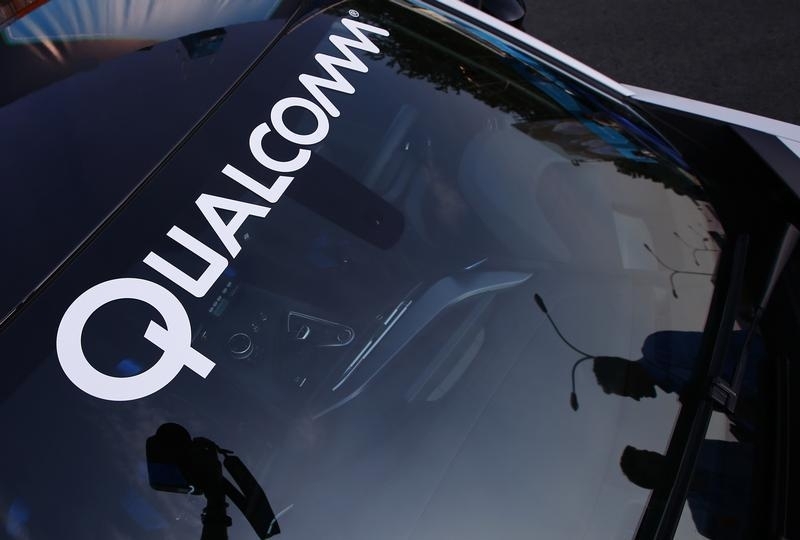 A logo of U.S. chipmaker Qualcomm is seen on the windshield of a car in Beijing September 13, 2014. After conducting a strategic review, Qualcomm said on Dec. 15 that its board of directors has decided not to split the company. Qualcomm also raised its forecast for earnings per share for the current quarter, which it said would be at, or modestly above, the high end of its previous forecast. Activist investor Jana Partners had called on Qualcomm to consider spinning its chip-producing unit from its patent-licensing business. Jana also called on Qualcomm to cut costs, accelerate share repurchases and make changes to executive pay and the board of directors.